Incense cones of many varieties and fragrances. Just light the top of the cone and place on your burner or a saucer or plate if you prefer. 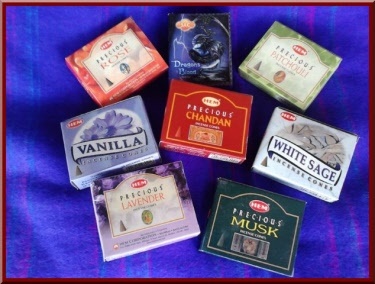 Incense cones, ten fragrances to choose from. Contents: 10 incense cones and one burner per pack. 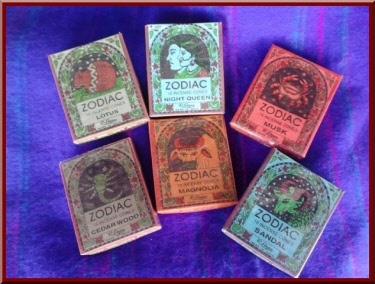 Incense cones devoted to the Zodiac. Get the fragrance that is assigned to your very own star sign. Select from the choices available. 16 cones per box. ONLY $2.00 per pack. Other Zodiac signs are presently out of stock. 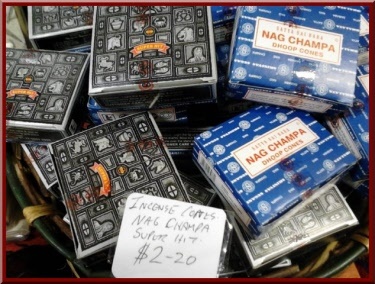 Nag Champa and Super Hit. Two of our most popular incense varieties. Experience all four fragrances of these exotic incense cones all the way from India. 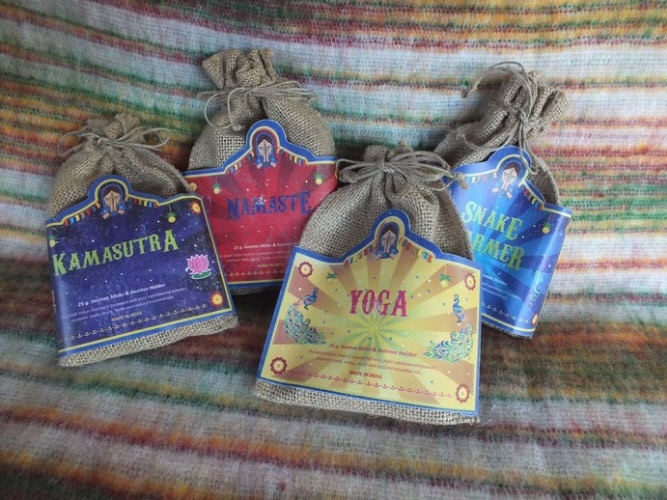 Each fragrance is presented in it's own little hessian bag and comes with a FREE porcelain incense burner, suitable for cones and stick incense. That's four dollars off the regular retail price.